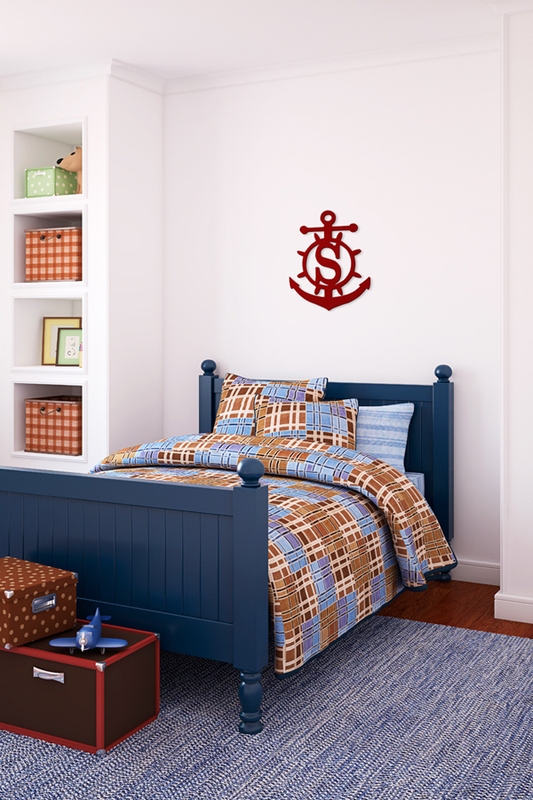 Decorate your baby's nursery, a child's bedroom, school dorm room, your front door, and much more with these custom wood wall monograms. 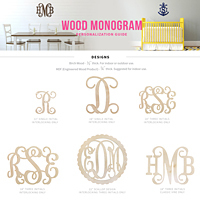 Pre-cut and ready to be painted, these wood monograms are available in 9 trendy monogram styles. Wooden letters are made from unfinished birch wood (for indoor or outdoor use). Birch letters are 1/2" thick. All letters arrive unfinished and ready to paint. The quality of the personalized birch wood monogram was better than expected! We received a different style than ordered. Tippy Toad apologized and quickly sent the correct one. (The style names were similar, so I see how the mistake was made). I was VERY happy with the customer service and quality! We will be ordering more for ourselves and gifts.